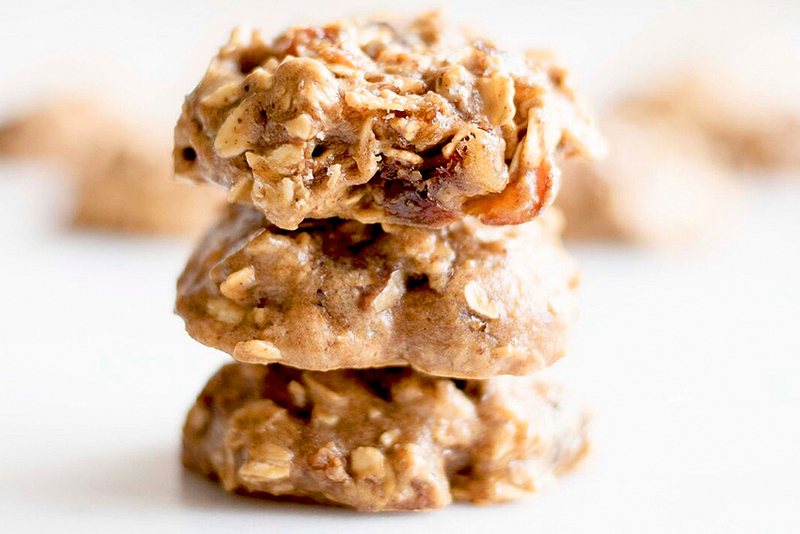 These egg, lactose, and gluten free date & oatmeal cookies are a perfect snack-sized combination of chewy, crunchy, sweet, and salty. You can even add white chocolate chips to the mix for an extra kiss of sweetness! 1. Preheat oven to 325 degrees Fahrenheit. Line a sheet pan with parchment paper and set aside. 2. In a large mixing bowl, stir together the first three ingredients until smooth. 3. Add the remainder of ingredients to the mixing bowl and stir until well mixed. 4. Drop about 2 tablespoons of cookie dough on to sheet pan and press down to flatten slightly. Repeat this until you have 12 small cookies. 5. Bake in the oven for 12-14 minutes. Let the cookies cool, and enjoy! Nicolette Stramara believes in balance. Just because you’re eating healthy doesn’t mean you need to restrict your sweets. Her passion began in the kitchen, baking desserts for others. Nicolette’s drive to live a healthy lifestyle has blended with her baking skills over time. Over the years she began to experiment – baking with protein powder and other healthier ingredient alternatives. Now she loves to create mouthwatering desserts that deliver healthy, protein-packed flavors! 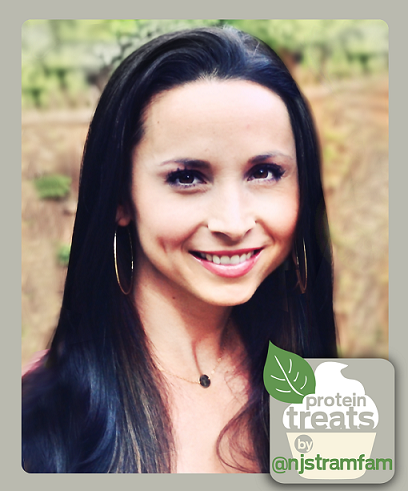 From cupcakes and cookies, to cheesecakes and pies, Nicolette shares her delicious protein treats for everyone to try.